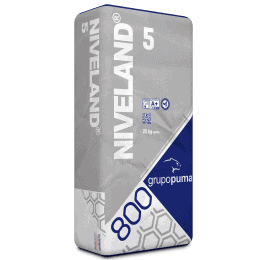 Three-component product based on hydraulic binders, synthetic resins, additive and colourants. Vertical coverings and continuous high-quality decorative floorings. Kitchen, bathrooms and other rooms where a seamless finish is required. Finishing coat for furniture, rooms, etc. Commercial premises, offices, houses, hotels, etc.  Pedestrian flooring for interior and exterior application over cement substrates. Refurbishment of flooring and ceramic tile coverings as it is possible to apply over these surfaces. Great bonding over the majority of construction materials. Easy to apply: easy to mix and spread. Very fast turn around time. Paviland Arq Finish gives floors and coverings a highly decorative, quality finish. Before applying the product, repair any cracks and/or fissures in the existing covering, opening them with a diamond disk and then vacuum the dust. After this operation has been completed, seal with the mortars from our range according to the nature of the substrate. 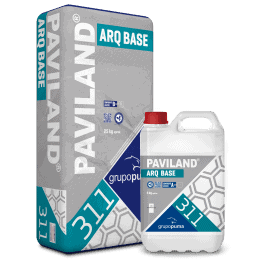 Use PAVILAND ARQ BASE to fill any cracks and level the substrate. Prepare the cement substrates using sanding or similar equipment in order to achieve a level surface and appropriate absorbency before priming. The substrate must be clean and free for grease, oil, remains of paint and loose or badly bonded parts, and if necessary clean the flooring mechanically until the surface is free from defects and stains. 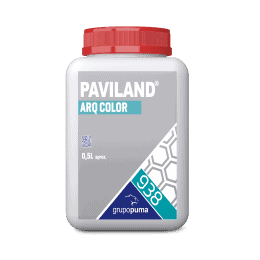 PAVILAND ARQ FINISH is a three-component product, one of them being powder and the other liquid, which is why it needs to be mixed for two minutes in a homogeneous manner to achieve a uniform mixture, without lumps and with an appropriate consistency. Once mixed, the lifetime of the paste is approximately 30 minutes at a temperature of 20º C.
Add the pigment to the liquid component A and mix until you obtain an uniform color. Then, gradually add the component B (Powder) mixing with a low speeds electric mixer. For facings we recommend using 3/10 Comp. Comp. A / Comp. B. 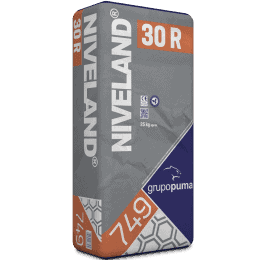 For floors it is possible to use a more liquid mixture relation of Comp. A / Comp. B for a better application. Apply two or three coats of PAVILAND ARQ FINISH according to the finish required, pressing and spreading the product well with a smooth edged trowel. Water can be sprayed lightly while applying to facilitate spreading. Once the first coast has dried, sand with a fine sanding machine (120-180) to facilitate the bonding of the second coat. The maximum recommended thickness is 2.5 mm, with no more than 1.5 mm per coat. Once the last coat has hardened, sand again in accordance with the applicator’s size recommendations for the desired finish. Cover with our PAVILAND ARQ VARNISH sealant after at least 24 hours and no more than 48 hours. 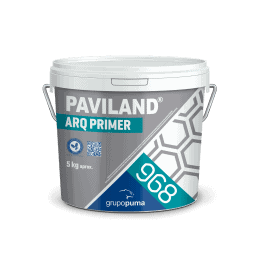 For areas that require a higher performance product use PAVILAND ARQ VARNISH EXTRA. Do not apply in temperatures under 5ºC nor above 30ºC. 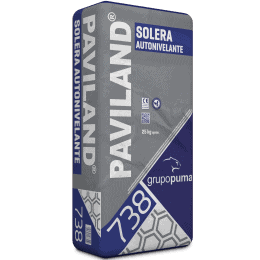 Protect from adverse weather such as possible condensation or high humidity during the first 24 hours. Ensure enclosed areas are well ventilated to guarantee good drying and curing. 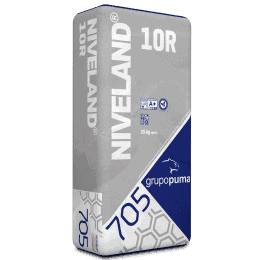 Prior levelling of the surface should be carried out with PAVILAND ARQ BASE (consult technical datasheet). Bathrooms, kitchens or general rooms where there could be high relative humidity or condensation humidity must be well ventilated in order to avoid the appearance of mould, algae etc on the surface. 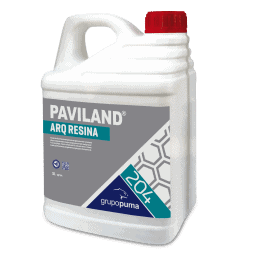 PAVILAND ARQ FINISH should not be subjected to permanent contact with water therefore it is not suitable for water to accumulate on it. 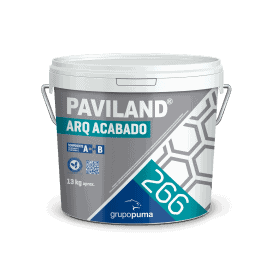 Before applying PAVILAND ARQ FINISH ensure the good condition of the substrate, as described in this technical datasheet. In all cases, respect structural and expansion joints. The colours shown on our colour chart are approximate and may vary in tone according to conditions of application and sealing coats. There may also be a slight variation in colour during the hardening process of the product. In the case of highly aesthetic demands, it is advisable to carry out a test prior to application. 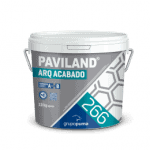 The sealants PAVILAND ARQ VARNISH and PAVILAND ARQ VARNISH EXTRA intensify the tone of the finish. + 5°C mins / + 30°C max.